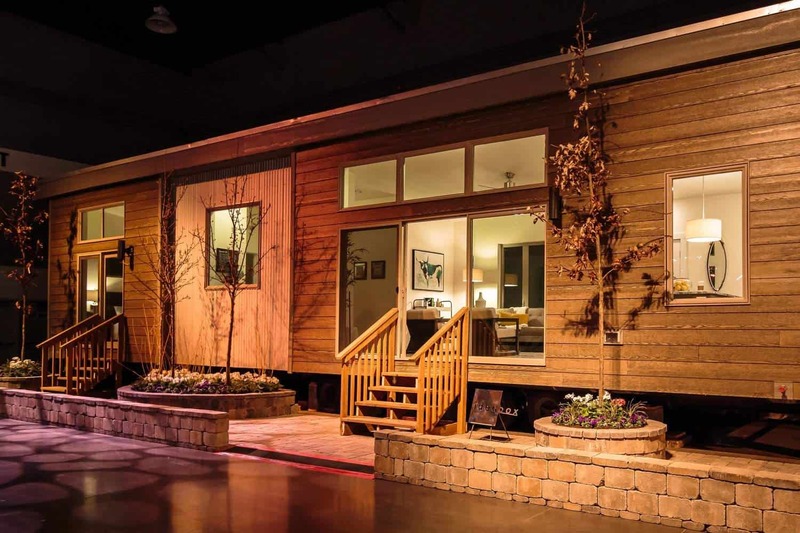 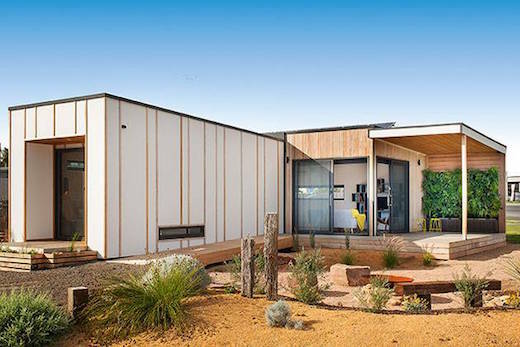 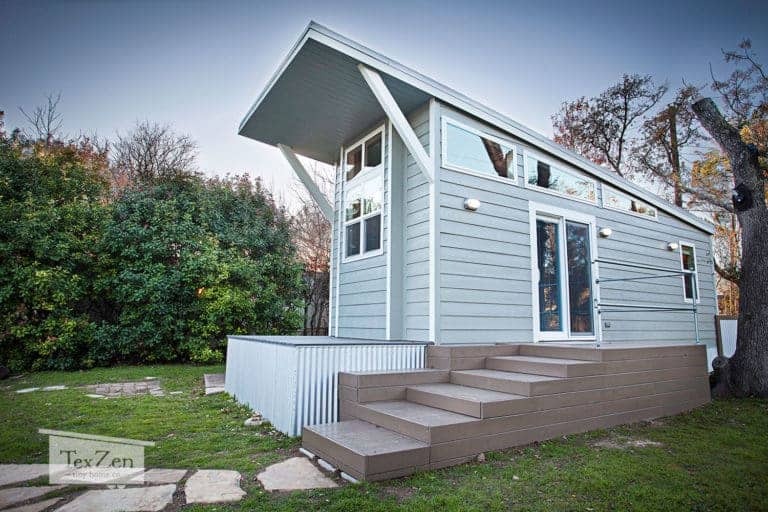 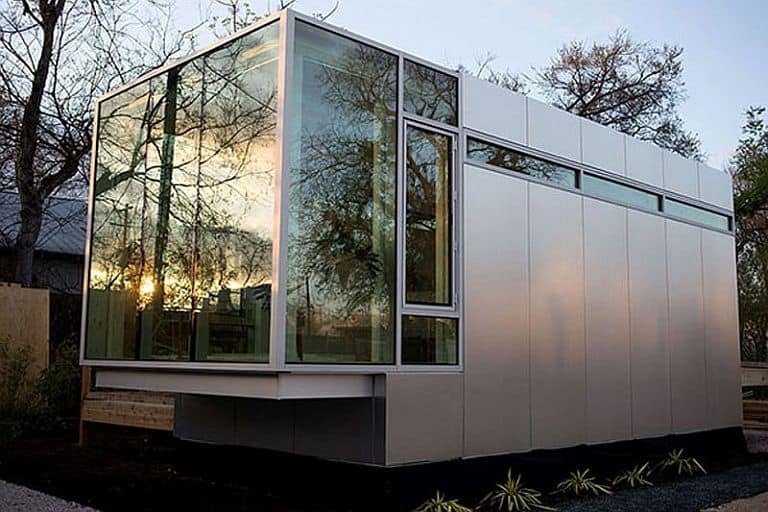 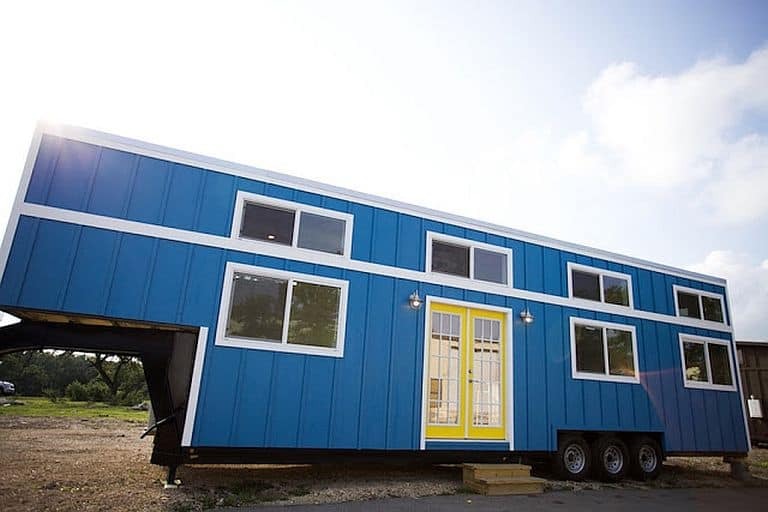 Prefab, modular – and reclaimed? 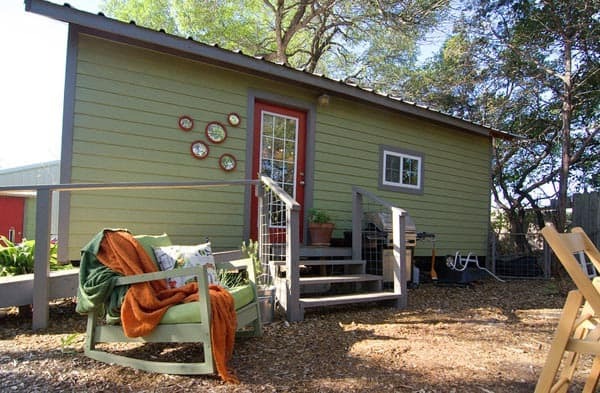 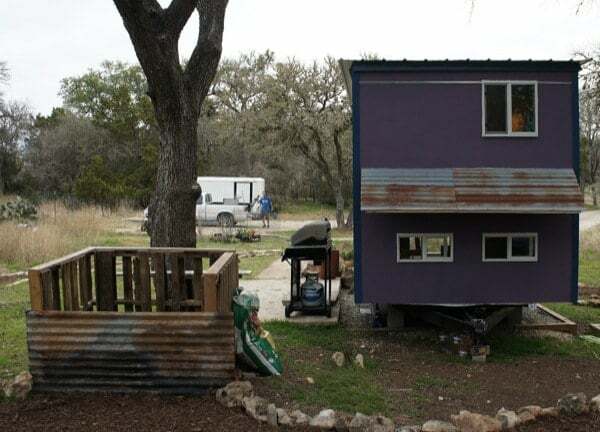 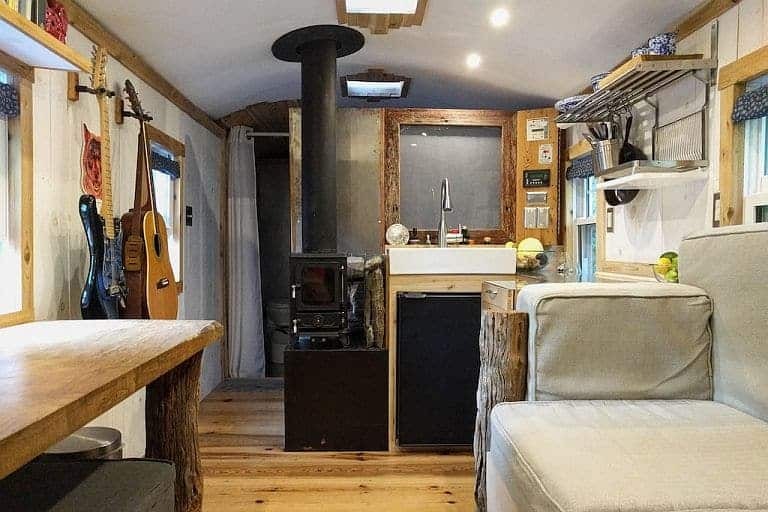 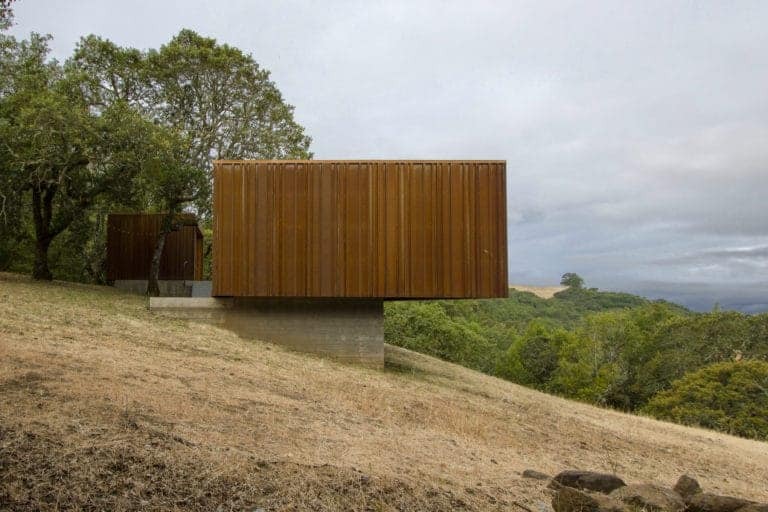 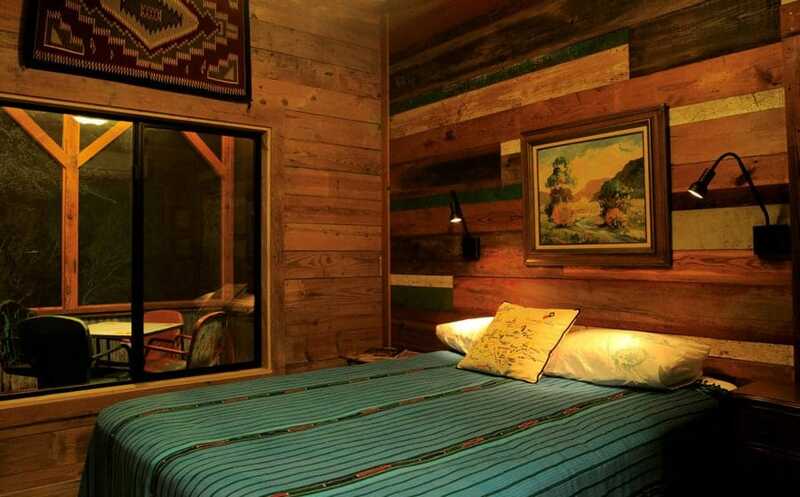 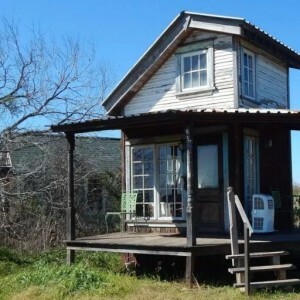 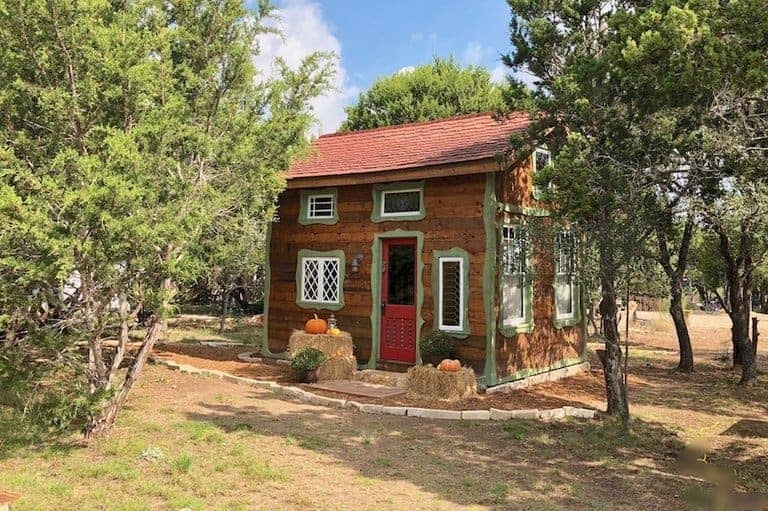 Reclaimed Space has been showing it’s possible since 2008, and the 640-square-foot La Arboleda cabin is a great example of their work. 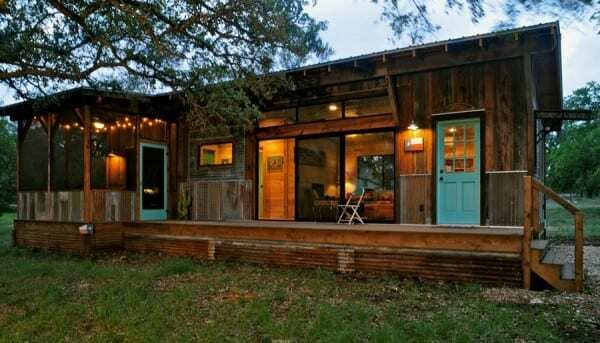 Built at the company’s Austin factory out of materials salvaged from century-old barns and farmhouses, La Arboleda was then delivered ready-to-go to the Texas hill country. 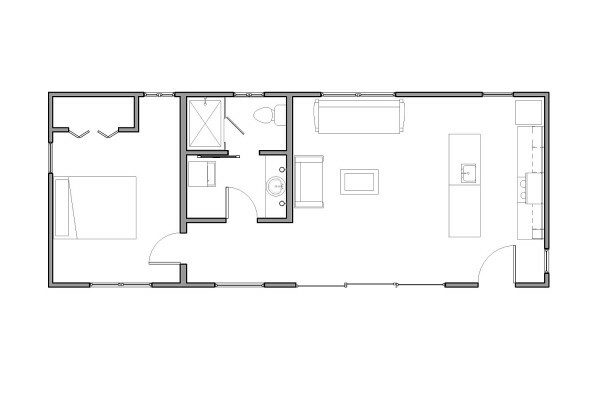 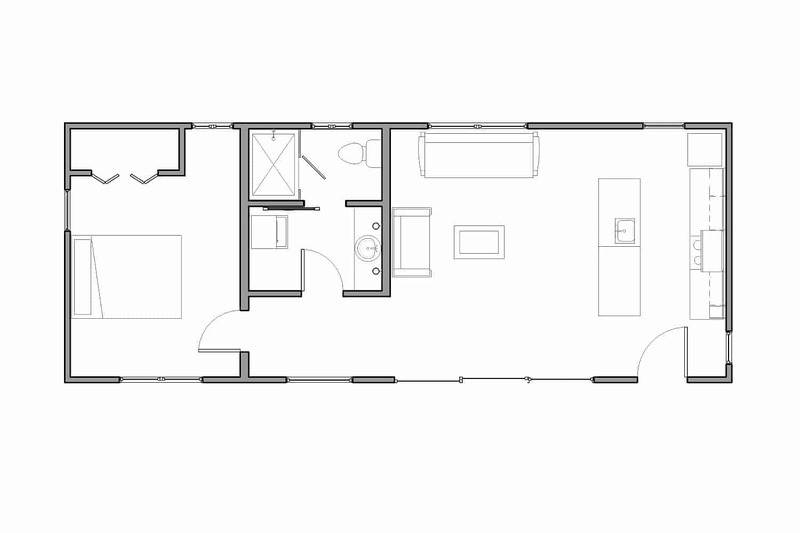 The floor plan (which was developed with input from the owners) is simple enough, a large living room / kitchen area separated from the bedroom by a short hallway with the bathroom off of it. 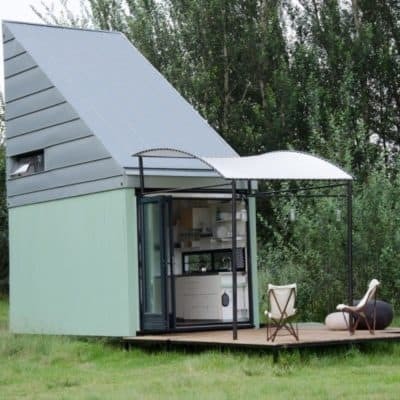 It’s a great way of maximizing both usable space and privacy, and the long sides of the cabin are lined with parallel windows that also maximize ventilation. 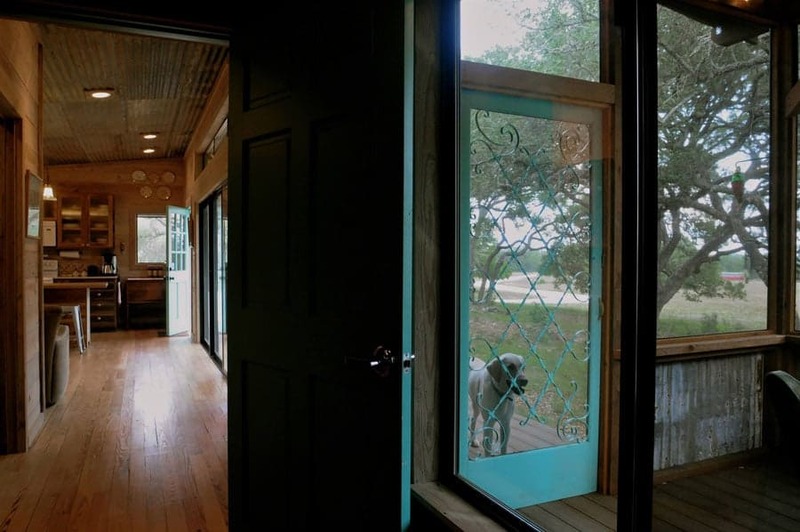 Ample porches, screened and unscreened, give a splendid view of the ranch La Arboleda calls home. 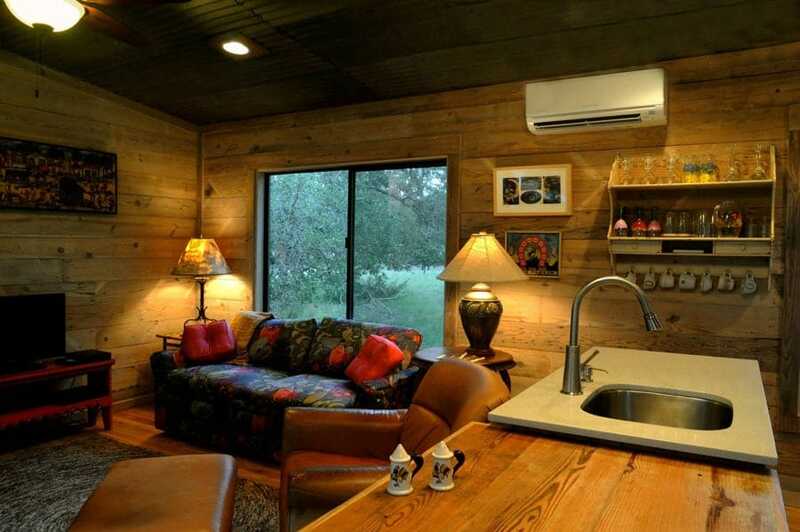 A ductless minisplit air conditioner backs up the cabin’s natural ventilation. 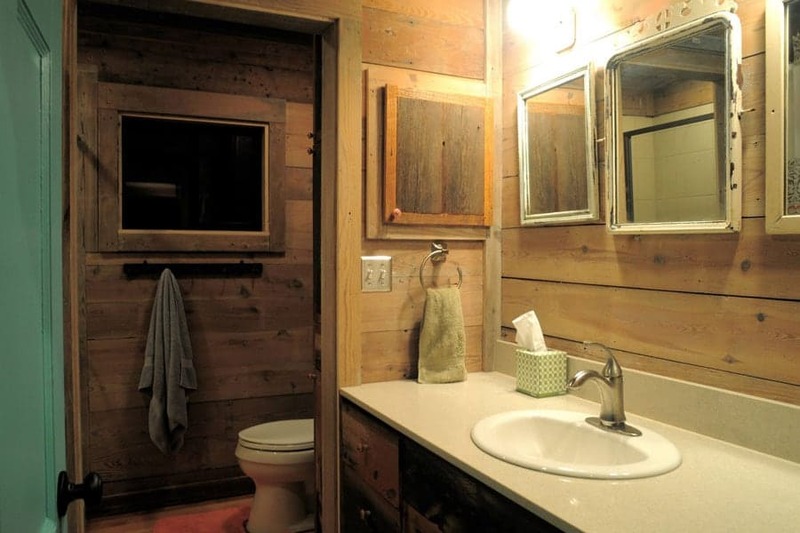 Whitewashed longleaf pine shiplap boards make the walls both bright and rustic. 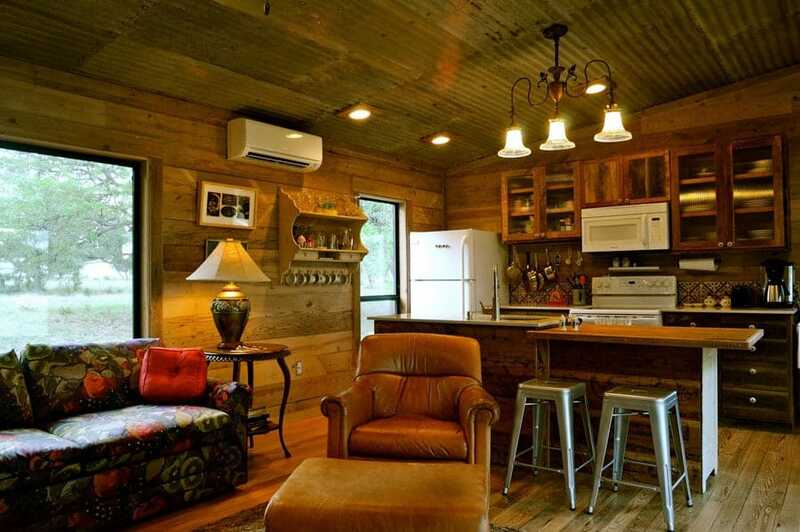 Even the corrugated tin ceilings are reclaimed.